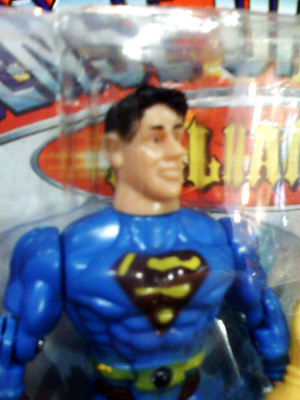 Last night in a “discount store” in Prospect Heights, I came across an amazing little item. 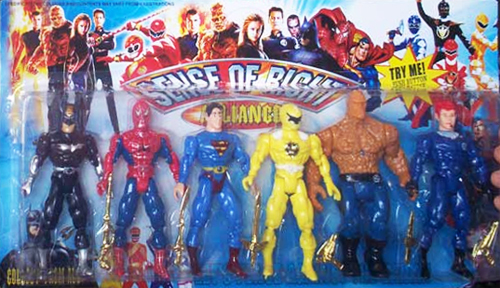 See, not only have factories in China been producing unauthorized knockoffs of popular toys (which is nothing new)… it seems like they’re hitting the “shuffle” button with whatever figures they have left in stock, and coming up with new super-teams too! 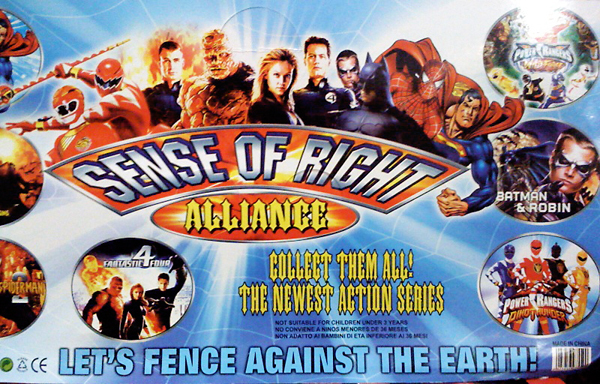 Case in point: the SENSE OF RIGHT ALLIANCE! 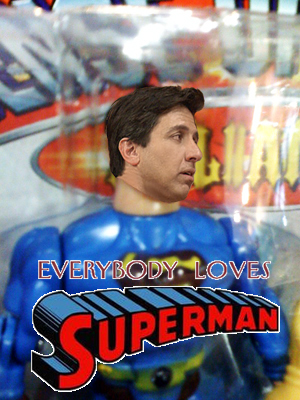 …to FENCE AGAINST THE EARTH!